Take charge, adapt, overcome - this is the Beaver motto. Mostly business, the Beaver is gets the job at hand done with maximum efficiency and aplomb. Strategic, and cunning the Beaver is a force to be reckoned with in matters of business and combat. 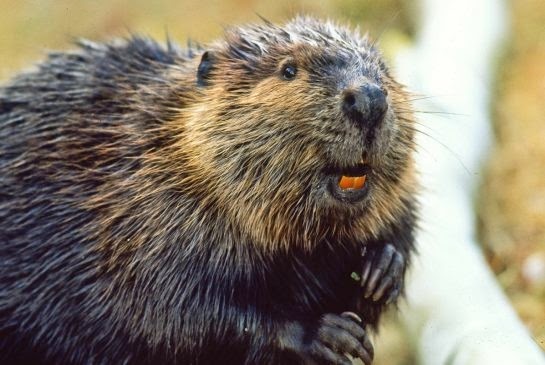 One might also think twice about engaging the Beaver in a match of wits - as his/her mental acuity is razor sharp. The Beaver has everything going for him/her - however tendencies toward "my way or the highway" get them in trouble. Yes, they are usually right, but the bearer of this Native American animal symbol may need to work on tact. In a nurturing environment the Beaver can be compassionate, generous, helpful, and loyal. Left to his/her own devices the Beaver can be nervous, cowardly, possessive, arrogant, and over-demanding.